Rehabilitation Network Canada Inc. is Canadian owned and operated since 1990. Over the years, we have demonstrated success in delivering services including Disability Management, Vocational Rehabilitation, Assessments and Employment services. Our services are delivered in an ethical, professional and timely manner with a strong commitment to customer service and meeting client needs. Rehabilitation Network Canada Inc. nurtures an individualized customer centric and integrated approach to providing excellence in vocational rehabilitation / assessments / employment services through excellence in delivery of best practice protocols, and due process. Employers seeking to achieve their business goals may receive incentives to provide on-the-job training including apprenticeships and work experience opportunities for participants seeking placements or employment. 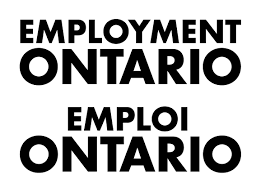 Our professional staff will work with you and our clients before, during and after employment / placements.